How to install Dynamic ip software to your cctv pc and make your cctv pc as a cctv web server. Follow the guideline below. 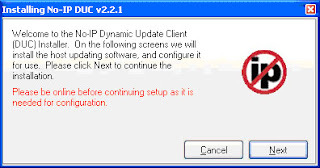 First u need to install dynamic ip software like no-ip, dyndns updater, and u can find dynamic ip software free over the internet. 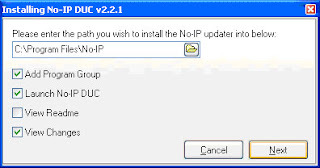 For me, easy to use no-ip software because it's easy to setup and configure. Get Dynamic DNS for your domain , and download the software. 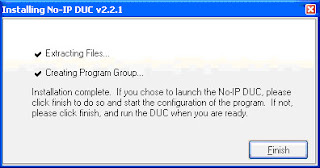 After software downloading finish, open ducsetup.exe from where u download folder. Just click next and follow the instruction. Once you finish the installation, one pop up windows come out, and need to key in email and password. How to get the email and password? 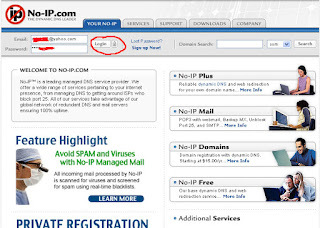 U need to register with no-ip website first and please make sure using a valid email address. 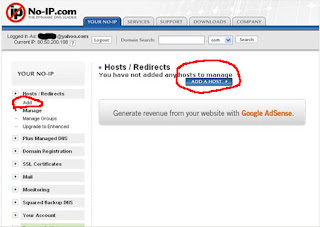 Normally u need to wait around 30 second to 1 minute to get your host from no-ip website. 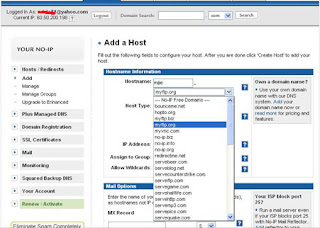 To check your host already create, go to start and click run: type cmd and command prompt will pop up to your computer, and type : ping yourhost.myftp.org, change "yourhost" to your host have u create before. example : mijie.myftp.org. If they reply, means your host already active. 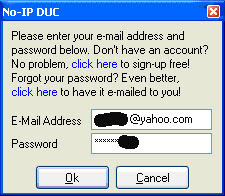 And then back to the dynamic-ip software "no-ip", and fill up your email and password. And click refresh host list, and your host will show. Done, now your cctv pc ready to be web cctv server. To test or check your web server function, ask your friend to open web browser and type your host and check whether your web cctv server running.